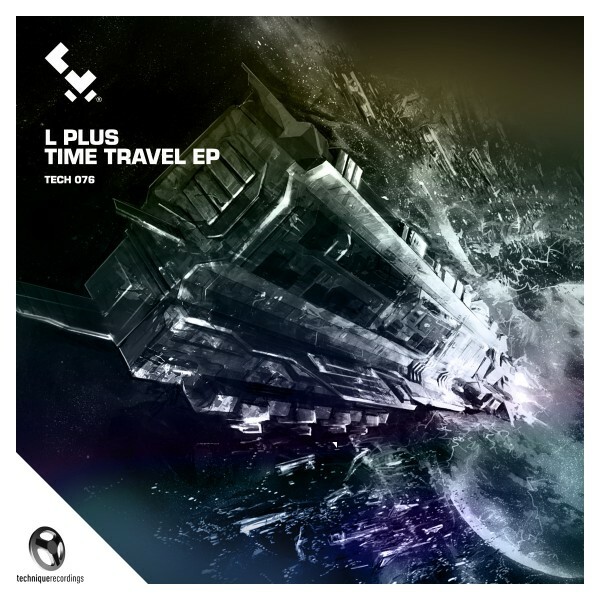 L Plus is Technique’s latest signing and his label debut ‘Time Travel’ proves he belongs with the drum & bass greats. Slovakian Martin Janak started Djing at University in Bratislava and soon became central to the Slovak scene. Known for his energetic and popular live sets L Plus has the support of many big name drum and bass players and has been described as a ‘name to watch’ by Drum and Bass Arena. The Time Travel EP lives up to the hype- a futuristic drum and bass record with four great tracks, L Plus shows he has what it takes.The title track mixes heartbeat bass with a sample from the 1950s film ‘The day the Earth stood still’ but manages to bring the words bang up to date as part of an ultramodern club piece. ‘April’ builds from a slow atmospheric start to a fast heady beat, which combines the ticking of clocks with grimy bass.A beat this strong doesn’t require any vocals to move a dancefloor.‘Digital Sound’ combines space age samples and a ‘Pacman’ beat to start this club banger. This track fuses a robotic vocal with strong bass and hi-hats and the result is like a drum and bass rave in an 80s video games arcade. ‘Human Condition’ is another bass heavy treat with a foreboding introduction to a fast paced mix. L Plus has pulled out all of the stops mixing telephonic samples with cow bells and a hypnotic vocal before the drop. These amazing tracks mark the age of L plus at Technique; the dj has showcased his talents for introducing new sounds to shake up drum and bass. Soon to be seen at festivals worldwide including Easthetic Festival and Fall Fest, the future belongs to L Plus and fans have a lot to look forward to.